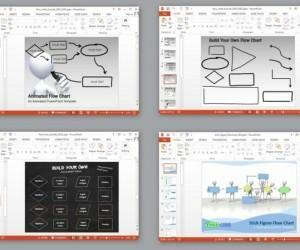 Financial and business presentations can often be easily explained with the help of arrows. This is because one may require presenting statistical data, trends and business plans where arrow related imagery may come in handy. 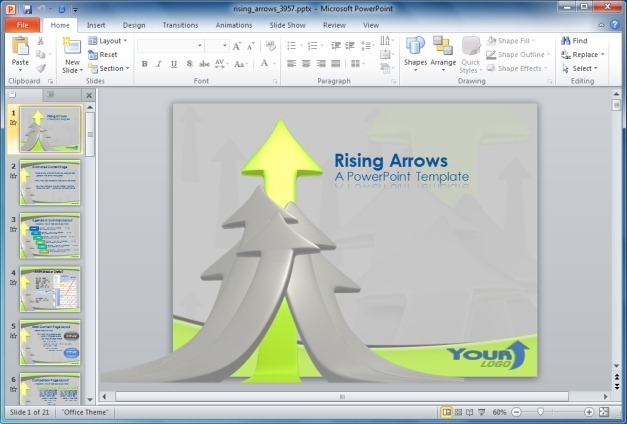 Rising Arrows Template provides a variety of sample slides that are suitable for financial and business presentations. 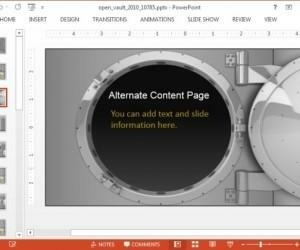 The template is available for PowerPoint and Keynote and comes laden with animations, clipart and business related layouts. 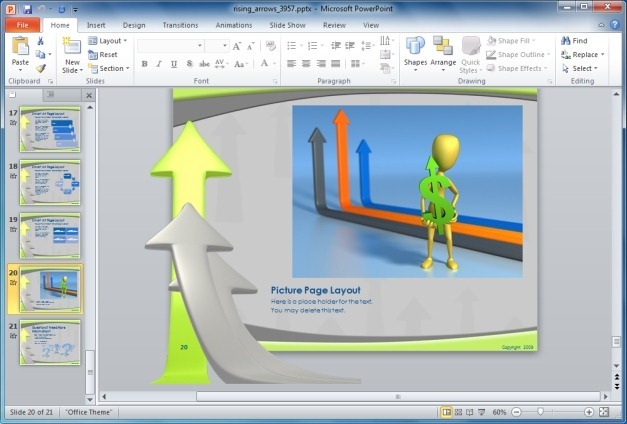 The introductory slide shows an animation of arrows rising upwards. 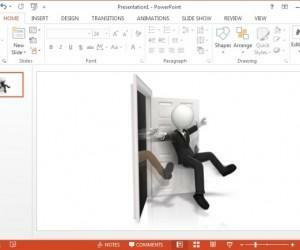 You can add custom text and a logo to make use of this animated slide for starting off your presentation in style. 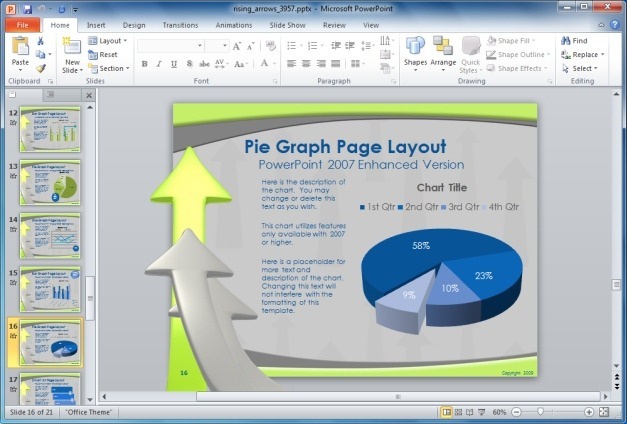 The following slides provide more than a dozen layouts to help you create business and finance related slides by editing the charts, SmartArt Graphics, using the clipart images and by making use of the highly customizable animated slides. 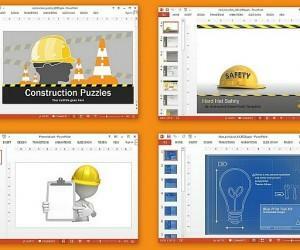 Among the various layouts, the template offers slides with agenda, chart, summary and picture layouts. For example, you can use the comparison page layout to create a comparison between two products, production processes, quarterly performances, etc. 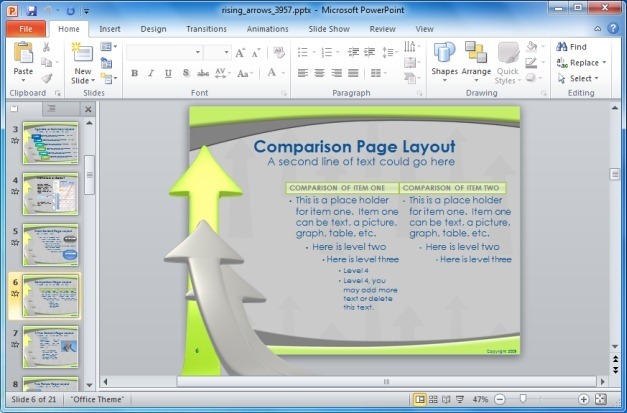 Similarly, using the single, two picture or three picture layouts you can present your slides using images and minimum text. This can be useful for presenting images to communicate your point of view, instead of wordy slides. For example, you can display snapshots of financial performances and display them in a single, two picture (e.g. for two financial quarters) or three picture layout. 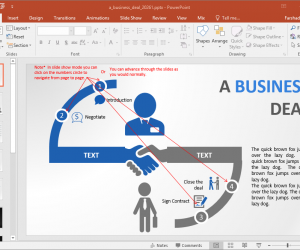 Obviously, you can also add other types of images ranging from witty clipart to pictures from official organizational events.